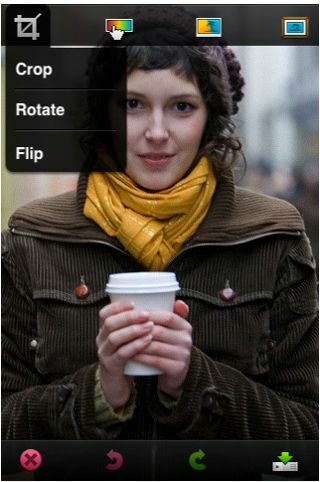 How it would be when you will be able to share, edit and interact with the photos on the phone on the go? Yes, it is true a new iPhone provides the facility of the Adobe Photoshop in it which enhances the capability to interact with the photo. The details added in the site of the adobe have mentioned that they wanted to add the Photoshop in the iPhone. Image cropping– by this one can select the image area that needs to be cropped as it is and the rest area can be discarded. Tools are available in the application which helps to select the required area. Color contrast facility – it helps to adjust COLOR TONE of the image, if one wants to alter color of the particular object then it is possible too. Scaling – it can also be performed by mentioning the new image size and performing some simple steps. Rotation – by this one can rotate the image by any degrees one wants. It’s a very important tool with which one can just rotate image by mentioning the degrees in the toolbox. Adobe Variety tools – various tools like night mode, color inversion etc are available in this category. There are many more tools that are available in this Photoshop iPhone application, to know about them one can visit the company’s site. There are certain things that company is providing to the customers such as 2 GB space online by which one store and access can image any time by just logging in the account. This space can also be used to store the multimedia images or animated images. The version of software keeps on updating to provide new functions to the user. One can easily update the version from the websites; the updates are free of cost and give detailed manuals regarding the updates. The Photoshop app for iPhone and iPod Touch helps a user to edit a photo more effectively than any other applications available for editing task. These applications are vastly distributed in United States and Canada to meet the coherence of the use of the application software. Nowadays this free software is distributed outside these two countries too. The link between an image and the human is very admiring, when a person clicks an image there are many things which are made to be realistic as per view. Thus, it greatly enhances such capabilities by managing, drawing and editing any sort of image anytime anywhere in the phone. This software is also called as Photoshop.com Mobile. The company is aiming to establish the software in various countries so as to help the domestic clients to take the benefit of updated and useful technology. Also, not only the software or Photoshop application program is very useful for the aforementioned circumstances but also it provides the capability to use it on the fingertips of the user. The available technology of the software has helped modern robust ideas to develop diplomatically in order to provide the software to adapt human environment.